Learn how to sell luxury homes with this OnlineEd course. Register for this accredited luxury home specialist course and expand your expertise in real estate. 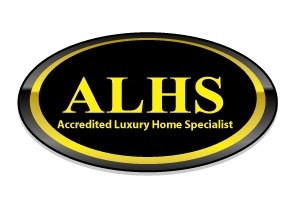 The coveted ALHS - Accredited Luxury Home Specialist - designation is maintained and managed by the Luxury Home Council, a group of real estate experts specializing in the sale of luxury homes. The ALHS program is designed to provide agents with advanced training in the field of selling luxury homes. This online course is your first step in earning the Accredited Luxury Home Specialist designation. Besides passing this course, designation candidates must be members of the Luxury Home Council and either the National Association of REALTORS® (NAR), the Canadian Real Estate Association (CREA), or the National Association of Home Builders (NAHB). The first year's fee for the Luxury Home Council membership is included in the purchase of the online course. Candidates also must complete the Achievement Verification Statement (AVS), which requires the candidate to close on two luxury home transactions within 24 months of (or prior to) completing the course. A luxury home transaction is defined as a sale where the purchase price is at least two times the average sales price in the candidate's real estate market. Council members receive numerous benefits including access to the member's only side of the Luxury Home Council's website, where they can obtain advertising slicks, press releases, and a membership roster for networking opportunities. 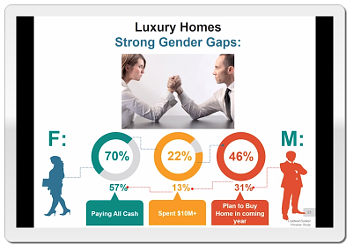 In addition, members gain access to a special website to advertise their luxury listings and services, normally $295 per year, but free to ALHS members. They also receive an ALHS certificate suitable for framing, a lapel pin, press release, client recommendation letter, and affiliate discounts. This online course is presented in video format. To complete the course, ALHS candidates will watch each video in sequential order. The length of the videos vary between 30 minutes and 1 hour long. There are no quizzes between the video sections. At the end of the course is a 50-question final exam in multiple choice format. Candidates have one hour to take the exam and are required to score 80% or higher to pass. The final exam may be attempted multiple times until the candidate successfully passes the exam. Upon passing the final exam, the Council will send login information for the Member's Only section of the Luxury Home Council's website to the candidate. The ALHS designation certificate will not be issued until the candidate completes and submits the Achievement Verification Statement (AVS).